The U.S. Coast Guard had found probable cause that the accident resulted from the captain's 'misconduct, negligence, or inattention to the duties." KANSAS CITY, Mo. 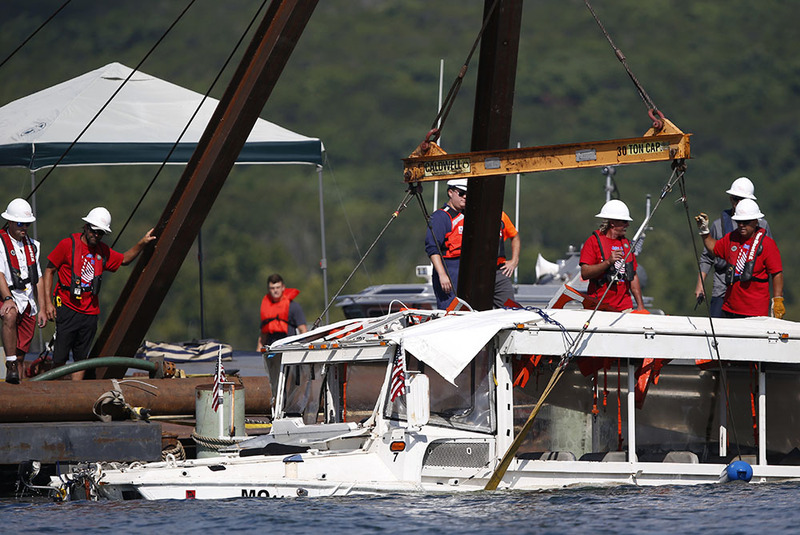 – Charges have been filed against the captain of a tourist boat that sank and killed 17 people, including nine people from an Indiana family, in a southwest Missouri lake over the summer, federal prosecutors said Thursday. A federal indictment shows 51-year-old Kenneth Scott McKee is facing 17 counts of misconduct, negligence or inattention to duty by a ship’s officer resulting in death. The July accident occurred when an amphibious vessel known as a duck boat sank when a sudden and severe storm rolled into the area. McKee is accused of not properly assessing the weather before or after the boat went into Table Rock Lake near the tourist town of Branson, U.S. Attorney Tim Garrison said during a news conference in Springfield. Ripley Entertainment, the company that operated the boats, suspended operations following the accident.